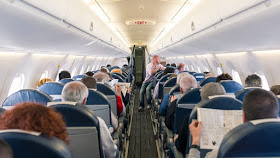 Passengers traveling on an SAA flight are allegedly robbed of cash and jewelry as they slept on a flight between Johannesburg and Hong Kong. The cabin crew was told by some passengers during the Monday flight that their valuables - stacked in the air compartments - were lost. The missing information, however, was mysteriously confused in some of the cabin positions, since the Hong Kong police survived the aircraft when it landed and searched some passengers who had behaved with suspicion. SAA spokesman Tlali Tlali confirmed that an incident occurred on flight SA 286 on Monday. While still on the way to Hong Kong, "two passengers approached our crew complaining that they had lost their valuables (money and watch)," said Tlali. "One of the complainants was able to point out some passengers who had behaved with suspicion in the cabin and who saw opening some airy apartments while other passengers were asleep." The crew alerted the Hong Kong authorities and the police boarded the aircraft when it landed. "The rest of the passengers were disembarked and the suspects who were identified ordered them to remain on the aircraft and were searched by the police in Hong Kong," Tali said. "Nothing was found during the search," he said, adding that the suspects had to be released. "However, the evidence protested was recovered by the cleansing staff as the aircraft was cleaned ... and were in the ... places in the same cabin. The items were returned to the complainants," said Tlali. He said that the SAA would not hesitate to impose a ban on passengers who were reported to have violated their conditions of transportation as they are part of the rights and responsibilities between the airline and its customers.